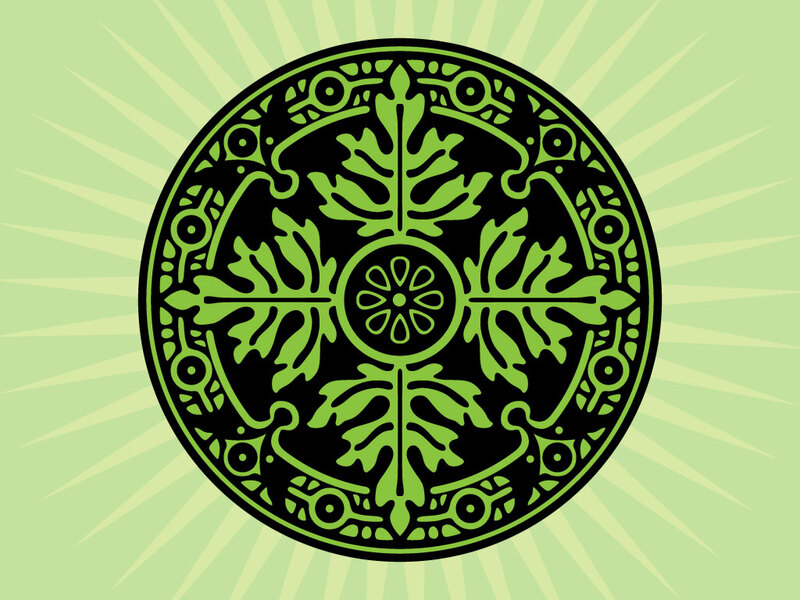 This circular design is in a black and green color scheme. Leaves shapes surrounding the center with a decorative pattern circling the outside. An organic, beautiful and elegant symmetrical pattern. Download as AI and PDF for your textiles, brochures, greeting cards and interior wallpapers. Tags: Ancient, Antique, Circle, Floral, Leaves, Nature, Plants, Round.